If you are new to the concept of Bullet Journal, don’t worry. 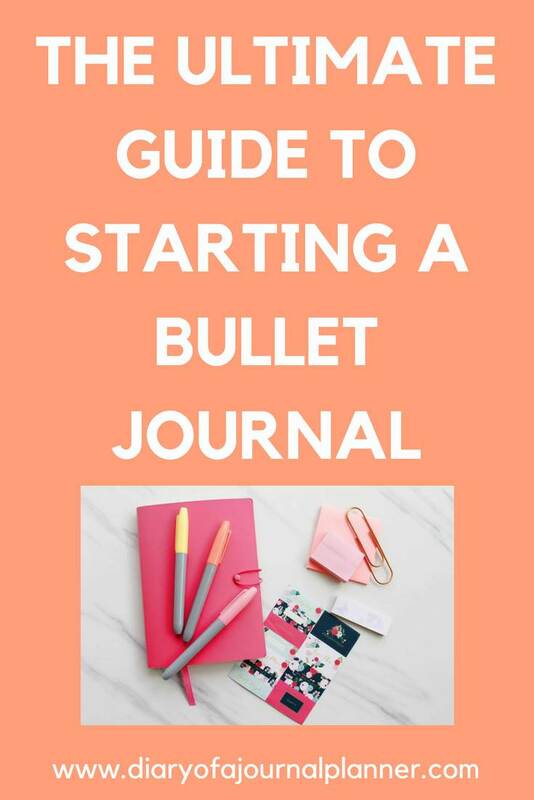 I am here today to give you the ultimate guide to starting a Bullet Journal. Before I started using my Bujo (short for Bullet Journal) I was constantly trying to keep up with the demands of life. It isn’t hard to lose track of appointments, fall behind on a deadline, forget what is on your to-do lists or the tasks you need to get done. And that is not even mentioning goals and future plans! This was a common occurrence in my daily life. 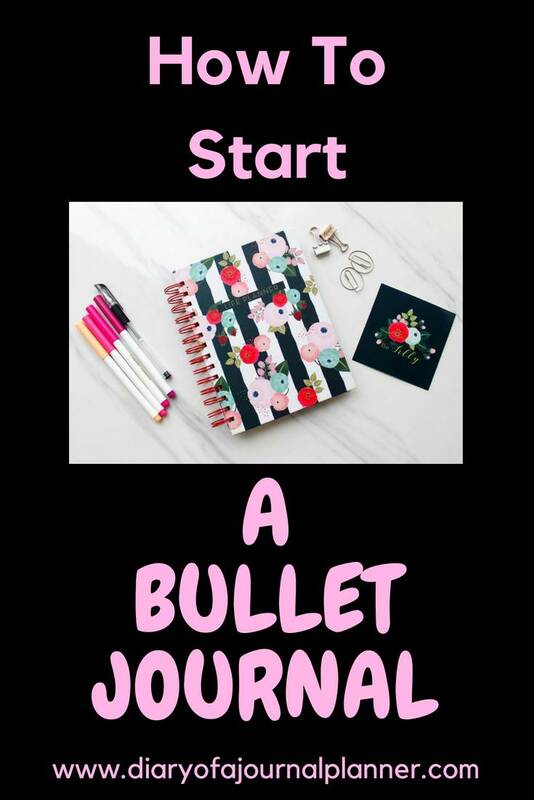 But then I was introduced to this simple method which is such an easy way to organize your life, but that is also fun and has loads of other benefits – the Bullet Journal. This type of journal is something that helps you to put your entire life into one book, use your creativity and imagination, and finally reduce the chaos that consumes you and overwhelms you daily. And at the beginning of journaling don’t be intimidated by some of the complex bullet journals out there. It is good to look at other people’s bullet journal set ups and pages for fresh ideas and inspiration, but everyone started small, with a notebook, a pen and a simple spread. All you need to start off is a few sections, and as you learn and get a better overview of your journal then you can gradually add more later on. The most important thing is that you use it regularly and continue bettering your life, home and work organization with help from the bullet journal. Read on for the most important things to know about how to start a journal. How is it Different From Other Journals? Let me give you a quick introduction of Bullet Journal before getting into its details and how to create them. A bullet journal is a method created by Ryder Carroll. It is a type of journal that includes multiple sections in order to keep track of the multiple aspects of your life. Instead of having one journal for your finances and career notes, and another journal for household to-do lists and journal entries, everything is in a single journal. Once that one is filled up, you may then want to switch to a new one. Another facet of a bullet journal is that you are not typically writing full journal entries when you use it. Instead, you are summarizing your points with short words and phrases, as well as using bullet journal symbols in various parts of the journal. This makes it easy for you to understand your intent on the different pages, but you don’t take up a lot of space with the journaling and it also doesn’t take up too much of your time. Below is a quick bullet journal reference guide for beginners. As previously stated you are going to use symbols within your journal as part of explaining things, creating schedules and lists, and for various other sources that you will add to your bujo. These symbols are called signifiers. 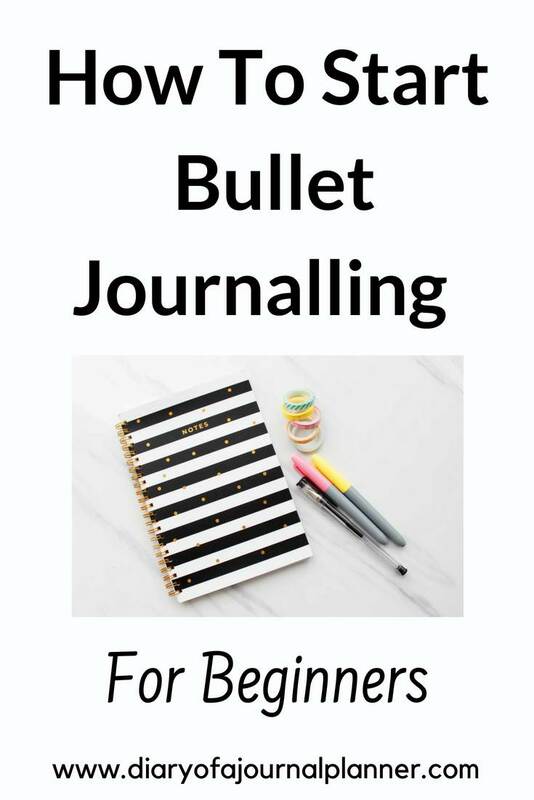 It is important to know the standard term for them because if you ever want to look up how others create their bullet journals when you are trying to find inspiration, it really comes in handy for bullet journal keys. For example, a signifier might be using a happy smiley face when you have a good day, or putting a symbol of the moon when you are talking about an event taking place in the evening. There is no right way or wrong way to do this; your signifiers are customizable and will likely be different from person to person. That is the great thing about bullet journaling in general. Everything is up to you! 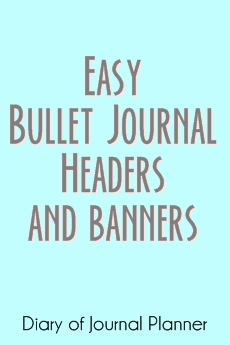 Bullet Journal Collections are any entry and page that you add to your Bullet Journal. The name collection can lead to some misunderstanding but it may or may not be a collection of anything. 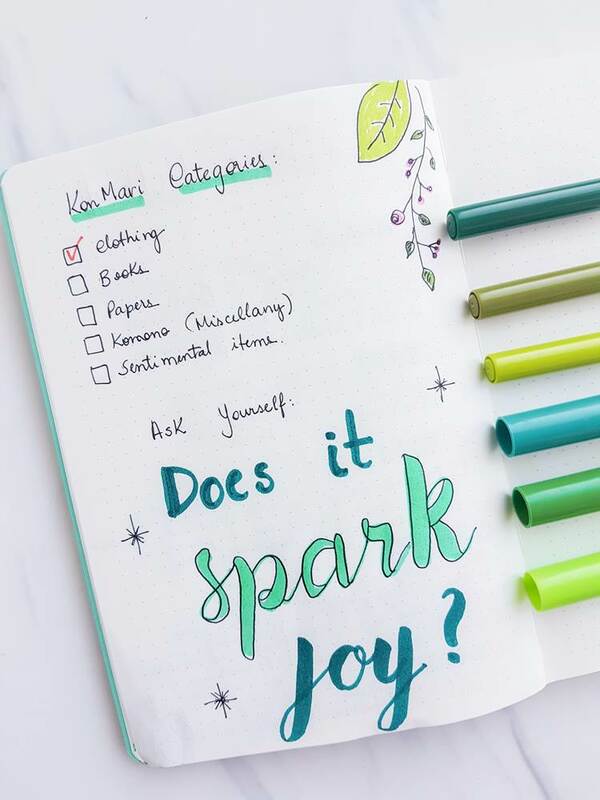 Everything you add to your bujo is a collection: Your calendar spreads, to-do lists, goals and actionable steps to achieve them, savings and finances logs, diet and fitness trackers, cl;eaning and declutter spreads etc. You could add a creative or colorful banner for each collection but that is totally up to you! One journal is used for everything – You don’t have just a gratitude journal, a travel journal or just a diet and fitness journal with bullet journaling. You want to have everything in a single journal devided by collections. 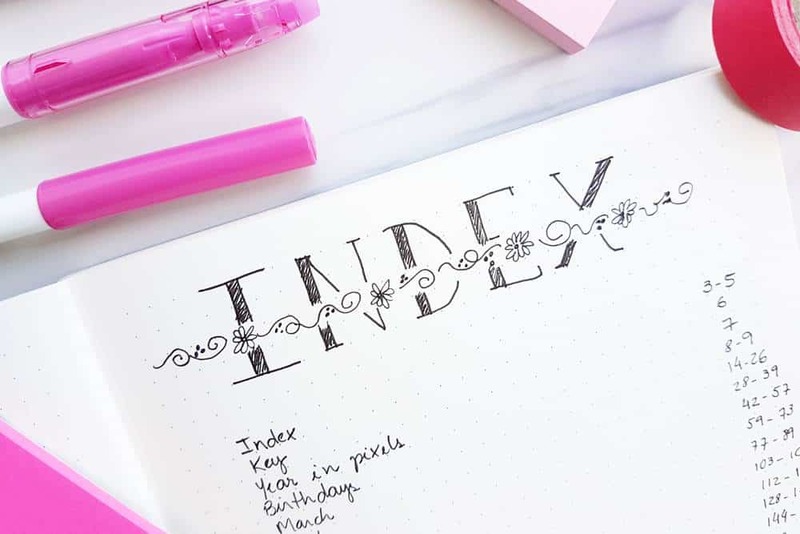 You create sections and an index – Another difference with a bullet journal is that it has sections for each form of journaling, and also includes an index. This index is something most traditional journals or diaries don’t tend to have, though of course this is entirely up to you. This helps you easily locate the page you want. When you start putting the bullet journal together, you decide on what collections to create, then you make an index. You can always add to your index later as your collections grow. Signifiers are used in place of long sentences – The signifiers, or symbols are used to represent the key actions your need to take for a given entry. You will still do some writing, but once you are familiarized with your signifiers these will make for a quick understanding of what is going on with each task in a month’s calendar view on one of the pages. It helps to really organize your life – Organizing your life is much easier to do with a bullet journal than others. Of course, other journals are good for relieving anxiety, getting out your emotions each day, and helping to find triggers etc. You don’t necessarily need to replace your old journals, however, with a bullet journal, it is good for organizing all the different areas of your life that you feel need a little more order. 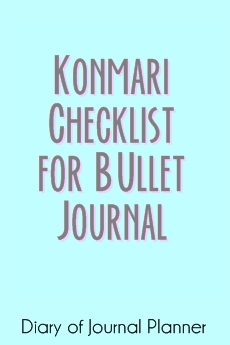 Read here how to declutter your life and home with the Konmari checklist for bullet journal. 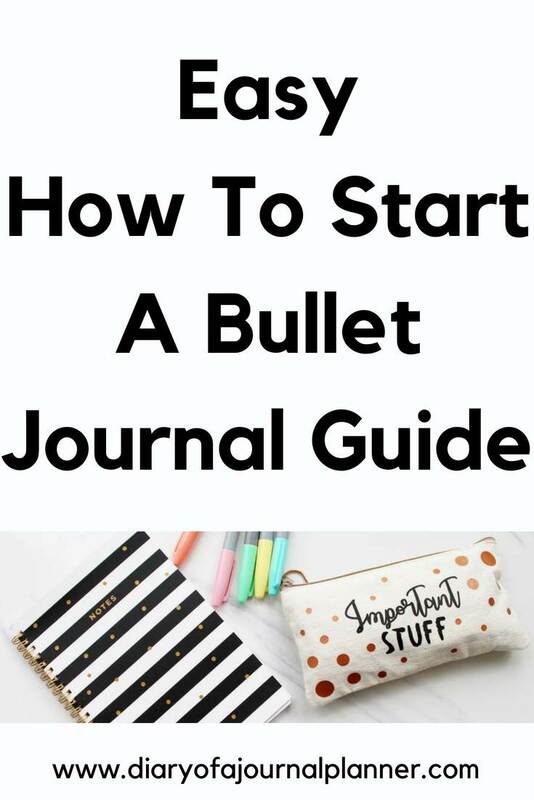 Once you understand the key aspects of a bullet journal getting started is easy! Now we will get a little more insight into why this is such a good journal to try creating and the top benefits of keeping one. Do you like to use a planner? If so, use a bullet journal instead! It provides all of the perks of using a planner, but then it also doubles as a journal. You can keep track of even more things, have pages for weekly and monthly calendars, and put just about anything inside that you would put in a planner but without having to follow the ready-made templates and setups. 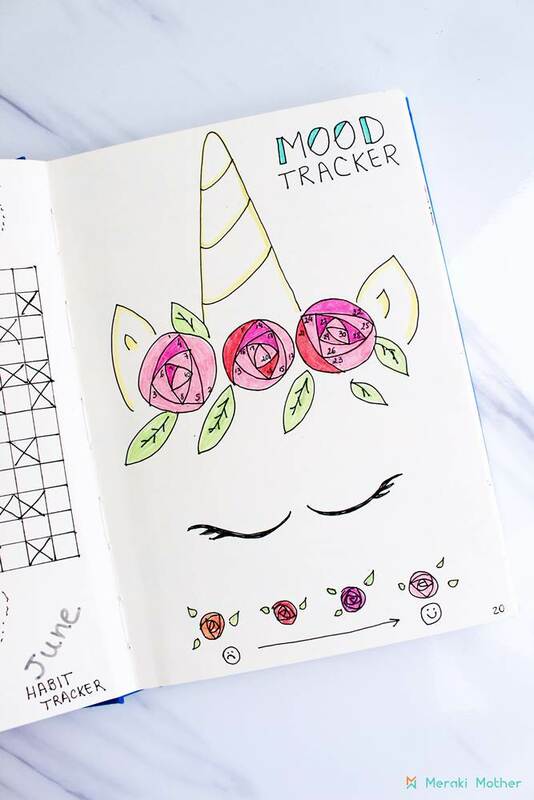 You can even use all those fun stickers and labels right onto the pages of your bullet journal for better organization. Like many other people have realized, a bullet journal can become a great outlet for creativity. My journals are full of doodles and it is, in fact, a cross between a bullet journal and an art journal. 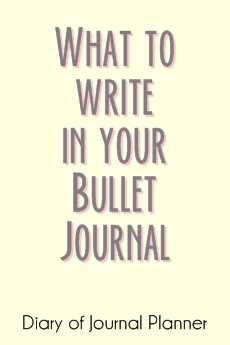 It just goes to reinforce the previous statement – your bullet journal is totally customizable. There are many expensive planners and fancy bullet journal supplies out there but purchasing them is totally optional. Starting a bullet journal, however, doesn’t need to be an expensive thing. A notebook of any kind and a pen is all you need. It might be easier to have a dot grid journal but even that is not an exclusive requirement. You could just as well use the system in any notebook. Setting goals is easy but achieving them can be a very different thing. Your goal can be anything you want, but it should be something that is achievable. How do you know the difference? Easy. An achievable goal is one where you can list actionable steps that would help you achieve that goal. It is something you can actually see by writing it all out and looking at it step-by-step. You can start a personal journal and have a section where you talk all about your goals and what is needed to reach them. Planning can help you reduce stress in your life. Even though stress and anxiety are a normal part of life, mental health is something you should never minimize or push aside. A bullet journal can be actually very helpful in managing your mental health issues. 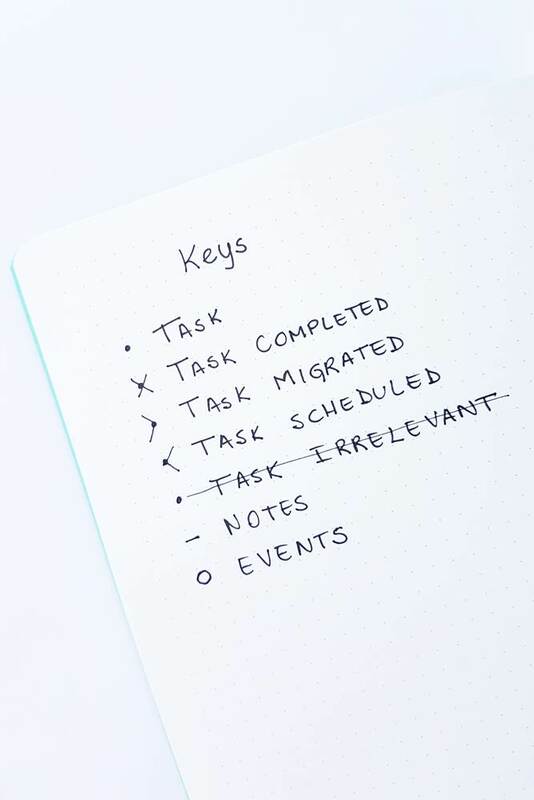 Even when the bullet journal is used to organize your life better, this, in turn, starts to reduce your stress because you are far less worried about forgetting something. You also don’t have as much anxiety brought on by the stress of all the chaos of your everyday life and you can have entire collections to track your feelings. Bullet journaling is going to help you become more organized in nearly every facet of your life. Perhaps you run a busy household, with each kid participating in a different sport or activity. You need to keep track of sports practice, camp, school. You need to know when they have doctor’s or dentist’s appointment, but also have a place in the journal for your own purposes, like your job, diet and fitness, hobbies or managing the finances. All of this and more can be done just with your personal guided journal. How to begin a bullet journal? This is a very common question. It is easy to know mostly what to include and how it works, but it can also be a little intimidating. The thing to remember is that there is no right or wrong way to do it! You can get inspiration by looking at the pages and collections of other people’s journals, but you definitely don’t have to do the exact same. And perfection is overrated, no need to keep it perfect by any means! This is my best advice to anyone wondering how to begin journaling: start simple! I can’t tell you how many people don’t start or quit bullet journaling because they get overwhelmed but it is a lot! As you start getting more ideas, switch it up and work on your pages a little more. There is definitely a learning curve when you are starting a journal. But then you will eventually discover ways to improve upon it. 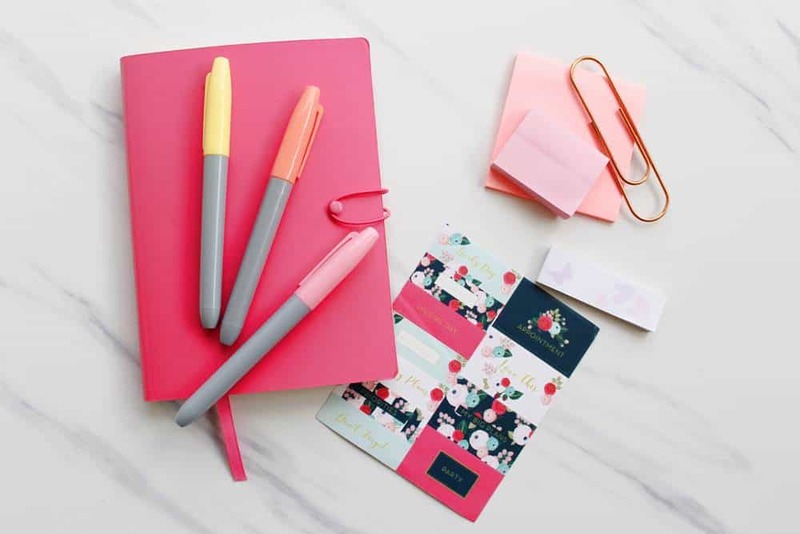 The following five steps just provide a basic outline on how to start a planner and what you need to do to get started. But of course, you might want to add some additional steps when you begin thinking more about your journal. An obvious place to start with bullet journaling is of course to choose your journal and writing utensils. A simplified bullet journal starter set includes a notebook and a pen – just that! The journal can be anything you want to use, but preferably one that is large (A5 size) and thicker. Tiny journals are great for keeping in a small handbag as a daily diary, but they aren’t the best for bullet journals. 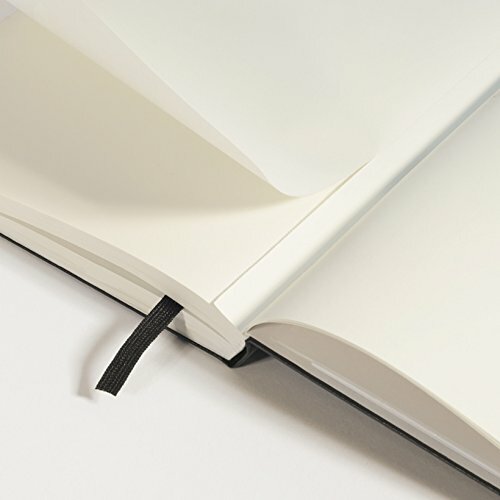 Some people love using hardcover journals, but keep in mind you are using it often and being able to open the cover and really make use of the entire page is recommended. In this case, a spiral or soft notebook might be better. For your writing utensils, you can use anything you want or have already available at home! I suggest you get a good collection of pencils, pens, markers, colored pencils, and anything else you like to write with. You can also upgrade your writing utensils later on. This is also a good idea to get other supplies like sticky notes, labels, and stickers for the different pages. 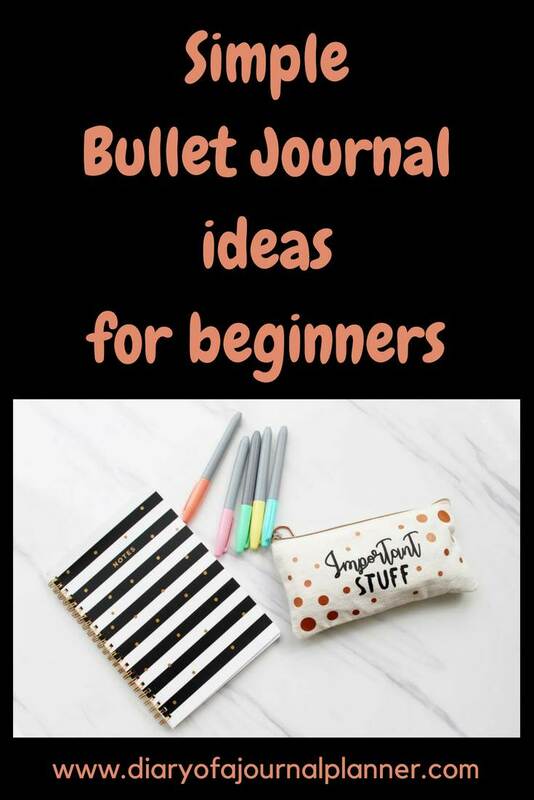 Read this post to find out our favorite Bullet Journal Supplies! This is not written in stones but it is a good idea to think how you need to begin to organize your collections before you actually put your journal together. A bullet journal is not like a traditional journal where you just start writing on page 1 and just write in it regularly. It is very organized with multiple sections. Grab a piece of paper and note down all the sections, spreads and logs that you want to include. Don’t worry about sections in other people’s journals; just focus on what is most important to you. Here is my ultimate guide of Bullet Journal Collections!! Now that you know what sections you want to include, create an index to add the collections there. You can add to the index as you go developing your bullet journal later on too. The index is going to take up the first two pages in your bullet journal so leave them free when adding your collections. When putting the journal together, space out the sections so that you have a good number of pages for each. Then choose where they will be located and write down the page number. Once all of this is done, you can then use the information to create your index. This is another area that you can keep working on and perfecting as you start getting more involved in bullet journaling. We have talked about signifiers, which are symbols that you will use a lot when starting a new journal. The idea is to keep the ‘entries’ brief. You should take some time deciding which ones to choose, though you can also add lots more when you actually start using the journal. Check Mark – Use a check-mark whenever you are marking something off your list. It is better than crossing off the entire sentence. Star – A star can be used when talking about something of importance. Arrow – to migrate your task to next day/week. Smiles – Use happy, sad, and other smiley faces to represent your mood of the day. Moon or Sun – When writing in journal entries or discussing events, you can use a moon or sun to represent the day or nighttime. But you might be asking: How to start a journal entry? Here is my ultimate guide on bullet journal key and signifiers! How to start journaling daily? Many people struggle with this. That is why it is so important to start simple to avoid overwhelm. Every bullet journal start requires you to make a little effort in keeping the habit of journaling daily. Finally, you are ready to start using your bullet journal! This is the fun part. Starting a journal for the first time does take a little bit of practice but if you are patient with the process by step 5 you are more than ready to be successful. Start slow is the key to how to start off a diary successfully. Instead of feeling pressured to fill out every single page right away. Think about your schedules, calendars, and planners and the types of things you typically need to keep track of. Remember to write everything down in your bullet journal as things come up, and it will work very well for you. So, how do you start a journal? Good blog on bullet journal. I am interest in learning more about joining your group board. Thanks Barbara. I don’t have any group board open to new members at the moment. Thanks Marianne. It can get a little overwhelming so we hope we have made it super simple and doable. Thanks for such a clean overview! I’ve tried it several times and I can’t succeed 🙁 I have a hige need to organize myself and I’m always looking for new ways, I thought a BuJo would be great but I find it difficult to make up the different sections, the index and to keep good track of it all in the index or calculate how many pages I need for each section. Do you have any suggestions? I’m new to bullet journaling and I’m trying to create a Self Care Journal. Any help you could give me in this process? I’ve got some to just track in the journal. I have a physical and mental illness that I want to track for next year. I’m using this method to keep my doctors informed and for myself as well. 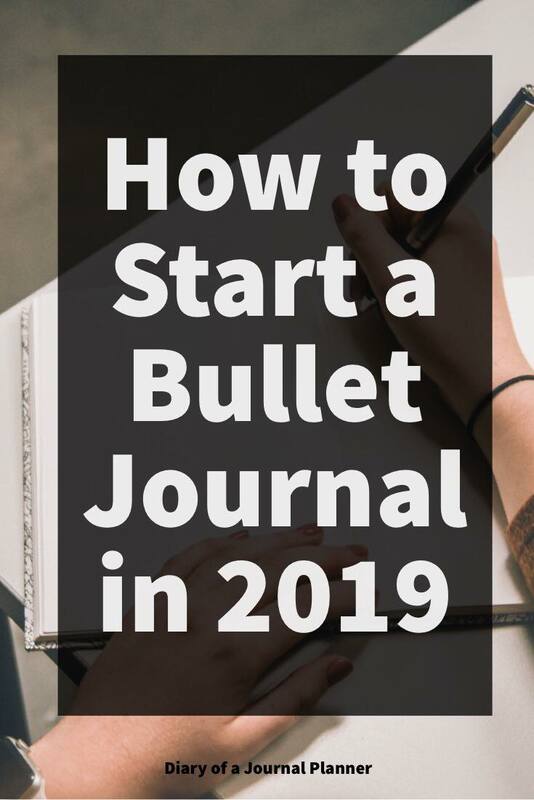 A Bullet Journal is such a fantastic way to keep track of so many things and I am sure it will be a valuable tool to help both you and your doctors too. For a few general trackers you may find useful maybe a Sleep Tracker, Mood Tracker, and a Period Tracker . I always find it really useful to see how things like my sleep patterns and hormones affect my health and moods. You may also want to keep a simple Habit Tracker to help you keep track of any habits you want to try and create to help your health. It is easy to tweak any of these tracker ideas so they suit you and your lifestyle. I hope this has helped a little and wish you well on your self-care journey.